For the second consecutive year, Vera Navis supports and sponsors the Technical Solar Boat project. Técnico Solar Boat is a university project consisting of cross-degree engineering students at Instituto Superior Técnico that work together on the development of a solar powered boat. 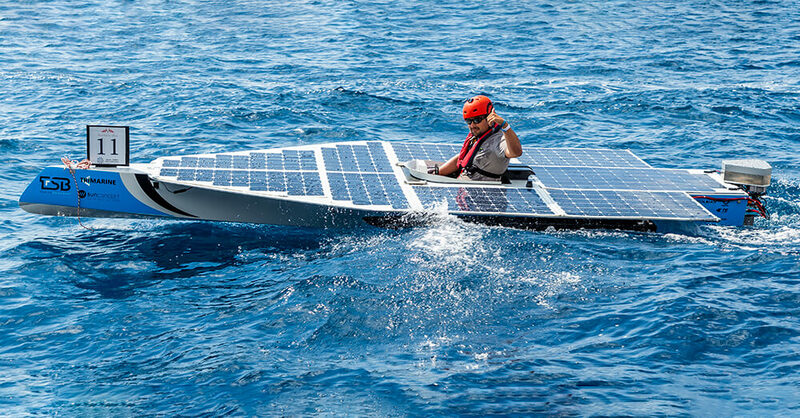 It is approximately 5,2m long by 2.4m wide, with the purpose of participating in worldwide university competitions organized by Solar1, such as Monaco Solar & Electric Boat Challenge. These competitions consist of speed, endurance, time trials and maneuverability races to test the boat’s performance but at the same time having the goal of evaluating the technological advances in the area.